USC Events announces the return of the third annual Paradiso Festival on June 27th & 28th at the beautiful Gorge Amphitheater! The 2013 event was plagued with problems, including drug overdoses that were incorrectly attributed to molly, overheating and water shortages. 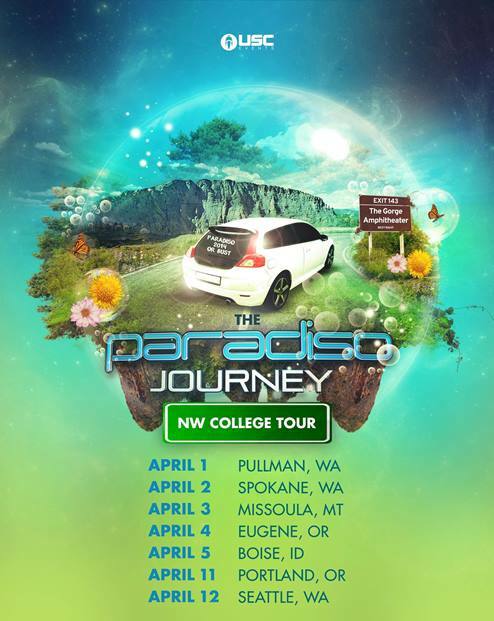 EmeraldCityEDM is very excited that Live Nation & USC Events are once again partnering to bring us Paradiso, and we hope that this year’s event will not experience the same issues and will run as smoothly as the inaugural Paradiso held in 2012. 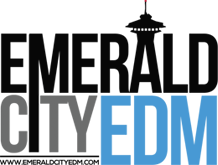 Stay tuned to the EmeraldCityEDM Event Calendar for information about upcoming public electronic dance music shows in the Seattle area, and this post for all publicly released Paradiso 2014 information. Enter to win tickets to Paradiso at the EmeraldCityEDM “Contests & Giveaways” page. – More free water stations. This year there will be 12 high-volume stations. Staying hydrated is key, especially when dancing for hours! – Conscious Crew roaming and taking care of others throughout both the festival and campgrounds. – Main medical station in campgrounds, with multiple substations clearly marked. Act responsibly. Remember to take care of one another, as we are a united state of consciousness! Please keep in mind that anyone visibly inebriated prior to entry will be not be allowed inside the festival grounds. If you see someone who needs assistance, get help. We’re there for you. – Sunscreen WILL be allowed. Note that bringing in any of the above listed items will require additional search time during the entry process. More information about the changes can be found online here & find out what is allowed and what isn’t here. GA tickets are sold out: Check out the “PLURchases” Facebook group to purchase tickets from local resellers. 5/20/2014 – Lineup Announcement Press Release: For two years in a row, the summer has been highlighted by an incredible adventure where digital meets nature at The Gorge Amphitheatre! Paradiso Festival weekend has evolved into one of our favorite weekends by outshining itself each year, and 2014 will be no exception! We’ve been listening to requests year-round for the artists you want to hear providing our soundtrack to the spectacular scenery of The Gorge and are thrilled to announce that the Paradiso Festival 2014 Full Lineup is here! Paradiso Festival is NEARLY 90% sold out. We expect the remaining 2-day passes to sell even quicker after this announcement. Once these remaining 2-day passes are sold, no more tickets of any kind will be offered. Now is the time to purchase yours if you want to join us in digital paradise at Paradiso Festival 2014! 4/29/2014 – Local DJ Invitational: USC Events and Dancing Astronaut announce the 2014 Paradiso DJ Invitational! Dancing Astronaut, Wavo and USC Events have teamed up to give one aspiring artist a chance to play the show and share the stage with some of the biggest names in dance music. The winner will receive a set at the festival, a GA camping pass, and full backstage access. More information & links to submit & vote on mixes. Tickets will be available to purchase on Monday, March 24th at 10am PST online via Ticketmaster or at retail outlets. Save $ on service fees by purchasing your tickets at retail outlets but act quickly, a limited amount of tickets will be available. Note that prices will increase as tickets are sold, so purchase your tickets early to get the best price! -General Admission will start at $150 and increase as ticket allotments are sold. -Two levels of VIP will sold ranging from $150 to $250 per day. More information about VIP can be found online or at ParadisoFestival.com. Camping: Camping passes are sold per vehicle and will be priced at $85 each. A maximum of 6 people are permitted per vehicle. Note that while camping passes will be sold online, it is typically cheaper to wait and avoid paying Ticketmaster service fees by purchasing your camping pass once you reach the gate. 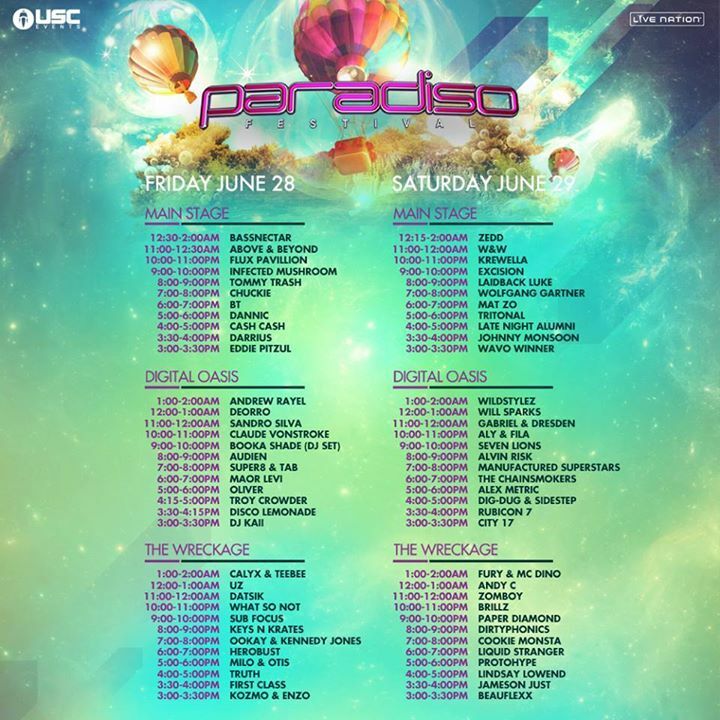 Announcing your headliners for Paradiso Festival 2014! GA Tickets will go on sale Monday, March 24th at 10am PDT, and will be available online and at Ticketmaster outlets. Stay tuned for information about other retail outlets. 11/25/2013 – Official announcement press release: Two years ago we embarked on a new adventure together to celebrate our culture at one of the world’s most beautiful venues: The Gorge Amphitheater. From the moment we set foot on the grounds, Paradiso Festival felt like home and we knew that the growth of this celebration was imminent. Last year our digital paradise adventure expanded to two days as thousands came together to make it the biggest dance music event ever staged in the Pacific Northwest! Gather your friends, because it’s once again time that we start our journey back to where digital and nature collide. The Gorge is calling and Paradiso 2014 is answering on June 27th & 28th! We invite you to return to the recently crowned Top Amphitheater in the world (Billboard 2013 Touring Awards) for two days of the best electronic music set amidst one of the most beautiful and scenic views on the planet. Enveloped in a paradise complete with a vast landscape to explore, you may find yourself encountering an array of fun-inducing characters, relaxing with your friends in the meadows, and dancing late into the night. Gather your friends, because it’s once again time that we start our journey back to where digital and nature collide. The Gorge is calling and Paradiso 2014 is answering on June 27th & 28th! We invite you to return to the recently crowned Top Amphitheater in the world (Billboard 2013 Touring Awards) for two days of the best electronic music set amidst one of the most beautiful and scenic views on the planet. Enveloped in a paradise complete with a vast landscape to explore, you may find yourself encountering an array of fun-inducing characters, relaxing with your friends in the meadows, and dancing late into the night! Note that Billboard named the Gorge as the winner of the 2013 Billboard Touring Award for Best Amphitheater! The Paradiso full lineup will be announced 5/20/2014 at 3pm!